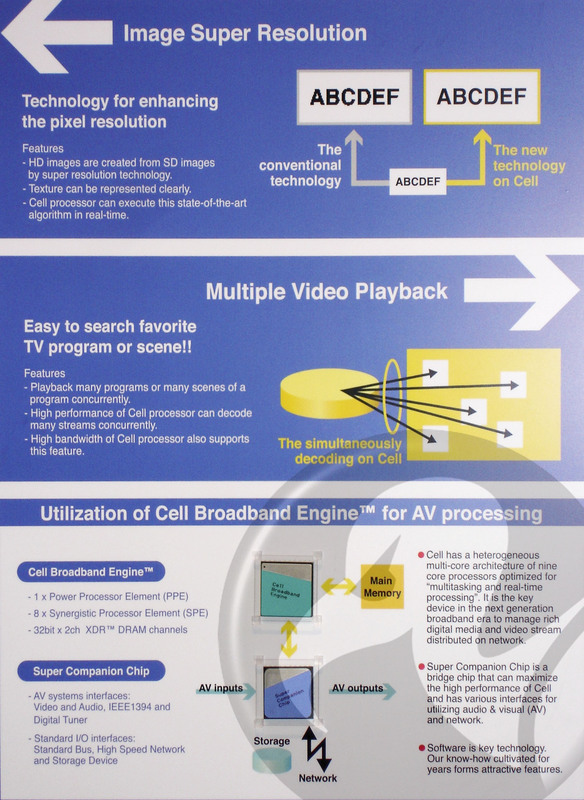 CES Toshiba used the Consumer Electronics Show (CES) to explain why it plans to incorporate the PlayStation 3's Cell processor into future LCD TV products. Tucked away in one corner of Toshiba's cavernous CES stand was a prototype Cell-equipped telly running a range of image processing demos. The Japanese giant showed two key apps: the ability to do multiple picture-in-picture and rather better standard definition upscaling than has been managed in the past. 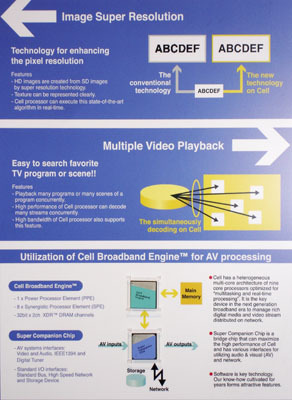 Toshiba's pixel resolution enhancement, as the company put it, uses Cell's PowerPC "Power Processing Element" core and up to eight parallel processing "Synergistic Processor Element" engines to run more complex upscaling algorithms than current TVs and hi-def DVD players can handle. Toshiba mentioned Cell's eight SPEs, but in the past it has said the Cell-based chips it will make and use in consumer electronics kit will have three SPEs. It announced its three-SPE "SpursEngine" chip in October 2007. The upshot is a marked reduction in the artefacts - like jagged edges on text - that you get when today's HD tellies try to generate 1920 x 1080 pixels out of the 720 x 576 found in a typical standard-definition picture. It's not hard to imagine the same technology being used to upscale HD pictures to even higher resolutions as TVs start to support the higher picture sizes. Toshiba's demo certainly looked impressive, but we'd like to see it working in the real world before we make a judgement. 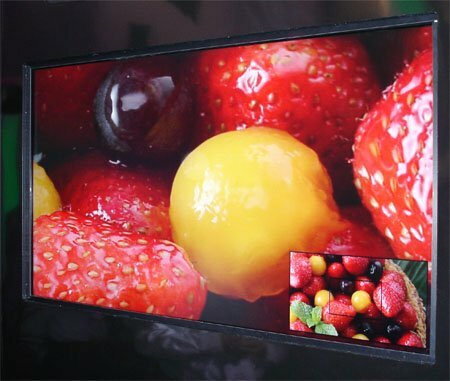 The consumer electronics giant also said Cell's multiple cores and is high bandwidth allow it to decode video streams simultaneously then combine them into a single multi-picture-in-picture image that can be displayed on the screen.